To stop a kidnapper, a psychic must confront his family's dark history…Adam Rutledge is still reeling from a close encounter with a ruthless criminal. The residents of Cold Springs feel safer after the man’s arrest, but Adam's dark dreams hint at a coming danger.When the unthinkable happens and another child is taken, suspicion falls upon Adam, who has no alibi and no way to explain his psychic abilities. Adam runs from the law to find the missing child and clear his name. His mind stretched to the breaking point, he learns the painful key to saving the child. He must uncover his family’s terrifying secrets. But bringing the past to light could make Adam the last of his bloodline…Founder is the second book in the Dead Hollow Trilogy of psychic suspense novels. 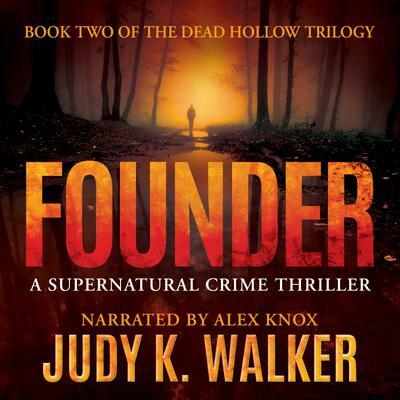 If you like abduction thrillers, complex characters, and a dash of paranormal, then you'll love Judy K. Walker's mind-bending tale of crime and family.Buy Founder to continue the haunting mystery today!